David is a driving force in the creativity at Sanford Golf Design. His technological expertise combined with an eye for detail driven differences, make David an essential ingredient to our well established team. He is a Registered Landscape Architect in Florida (#6667169) and CLARB Certified. With an Associates Degree in Landscape Horticulture from the State University of New York, a Bachelor Degree in Floriculture and Ornamental Horticulture (minor in Business Management) and a Masters Degree in Landscape Architecture from Cornell University he gained the skills and knowledge required to build a solid foundation for a successful golf course design career. While at Cornell David studied golf course design under renown architect Tom Doak. After graduating he was the recipient of the Donald Ross Society Internship Award and was on site for the construction of Michael Hardzan’s Widows Walk Golf Course, America’s first Environmental Demonstration Course. During his career he has had the privilege to work on projects with other notable firms such as Nicklaus, Palmer and Jones II. 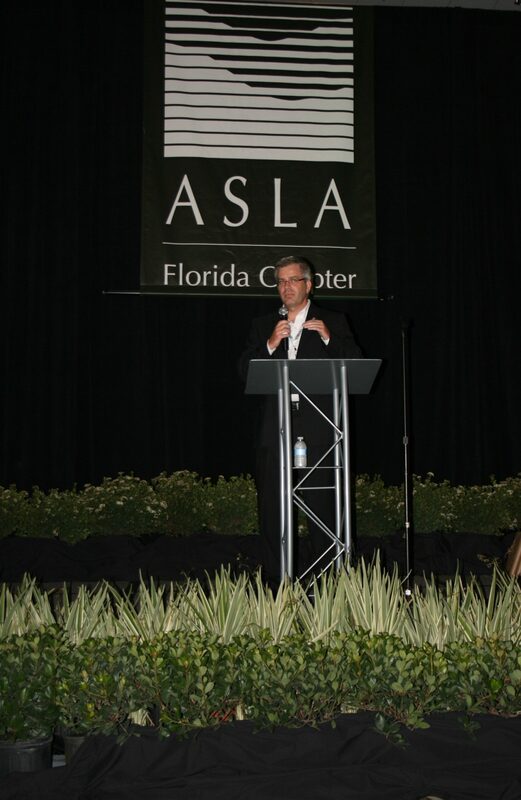 Since 2006 David has served on the American Society of Landscape Architects-Florida Chapter Executive Committee. Under his leadership the organization reestablished ties with the state university programs, developed new relationships with the Florida Greenways and Trails organizations, promoted the profession through his advocacy efforts and improved the Chapter’s support of emerging professionals. He is a Past President and current Trustee to ASLA National. David has a diverse background and expertise in all phases of golf course architecture. His design experience, whether it be for new course design, renovations or restorations, includes site analysis, master planning, routings, site planning, landscape design, construction documents, specifications, presentation graphics or construction administration is an integral part of the Sanford team. A team that has an unbeatable success rate getting projects off the drawing table, sold to memberships / communities, approved by government agencies and all the way to the inaugural opening tee shot.